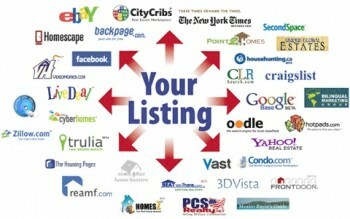 Why List Your Home For Sale With Me? With so many real estate agents in South Florida its very hard for a homeowner to decide who will be the best choice when it comes to listing their property either for sale or for rent in Broward County. One big difference is I a Licensed Real Estate Broker And I Own My Own Company And Go Out of My Way To Make My Clients Happy Because My Business Name Is Way To Valuable To Me Personally. I specialize in a few select cities including Cooper City Florida, Davie Florida, Hollywood Florida, Pembroke Pines Florida, Plantation Florida , Sunrise Florida and Weston Florida. As an Real Estate Broker I believe in only working the areas closest to my home location which lies in Davie, this way i am always within a 10-15 minute drive to my listings for showings or anything that could come up while I employed by you. To many real estate agents in today’s market will take a listing in Miami Beach and have another one in West Palm Beach, now while I call that a driven individual , It is not fair to the homeowner when this real estate agent could take over and hour to get to the listing for showings and or problems that could arise during showing by another real estate agent. I know my local areas that I service and I would never take a listing or pretend to be the local expert when the property is 30 minutes + away from my main market area. When listing your home or property for sale I always hire out of my own pocket a professional Photographer to take stunning pictures of your property to help it stand out to the 1000’s of viewers online checking out your home. When Possible and when using Aerial Drone pictures I take advantage anytime I can to show your property from high above which nowadays is a must in the real estate business to help your home or property stand out compared to the competition. What are my marketing channels? Well the first place and biggest place your property will be marketed on will be the SEF MLS ” South East Florida Multiple Listing Service” , once your property is listed on the SEF MLS which all agents who work in South Florida enter their listings on the same system and once that is entered your listing will also appear on Realtor.com which can be viewed by anyone around the world or down the street in your neighborhood. With my marketing plan, regardless if its a rental property, a $50,000.00 condo or million dollar home your property gets syndicated to over 200 channels like Trulia, Zillow, Hotpads, Yahoo Real Estate, Oodle and many other real estate sites around the web. Combo Lock Box vs Electronic Lock Box. Many of you may look at this and go whats the difference between a Combination Lock Box and a Electronic Lock Box and wonder why this can be so important. 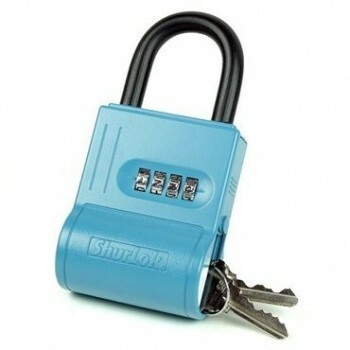 First lets start with the combination lock box that about 80% of Real Estate Agents use here in South Florida. Combination Lock Boxes are too easy to use and easy for intruders to get into homes and properties. Most agents use these types of lock boxes because of the cost “$15.00 – $30.00” on average for a combination lock box. The biggest problem with an agent using a combination lock box on a listing is that once another real estate agent calls for showing instructions you must give him or her the 4 digit code to use the lock box, there is no record if the agent actually ever shows the property or how many times the agents show the property. Second biggest concern you should have with an agent using a combination lock box on your home is that many agents in South Florida are lazy and will just give out the lock box code to their clients which is a big violation with the board of realtors and could cause an agent to lose their license and or be suspended. Why would the agent be lazy and do this , well mainly because they do not want to drive and or meet their clients to show properties. Have you ever heard one of your friends say that they did all the searching for the property and the agent did nothing? Third biggest concern with combination lock boxes is theft at your property particulary when your home or property is vacant. Again back to the part about agents given clients the lock box codes brings back the reason why if an agent gives out the code to another client that client or supposedly client can come back later in the day, the night and let themselves into the property and steal items, appliances and so on. Foreclosure listings always use a combination lock box to make it easy for maintenance people to check the properties and also most banks use the same 2 codes on all their bank foreclosures , while i will not tell you what they are but thieves have figured it out and when they know the property is a foreclosure listing they have a free for all and steal anything they can including air conditioning systems, appliances , fixtures and much more. Electronic Lock Boxes made by Supra are the best method that i teach to all new agents who want to make a great first impression with there new clients. The Supra electronic lock box is very secure, it tracts all showings, tells you which real estate agent showed the property and what time the agent showed the property. If the last agent was John Doe and John Doe left the doors unlocked you can hold him responsible in most cases, if John Doe shows the property to his client his client will not be able to come back with a lock box code to get in like the combination lock box system. 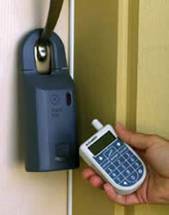 Real Estate agents who spend the extra money every year to use the electronic Active Key which is a handheld device like a password protected remote that allows entry into electronic Supra Lock Boxes are the most professional choice when it comes to listing your home or property with. Only Licensed Real Estate Agents, Appraisers and Real Estate Brokers are able to purchase Active Keys. If you want to protect your property when your not around don’t leave it to chance with an real estate agent who does not use the Electronic Lock Boxes, its a chance not worth taken in these tough economic times. I’m available 7 days a week for showings, appointments, questions and moral support, kidding about the moral support but I work hard and this is why year after year my business continues to grow. If you have questions about Selling or Leasing your property in my coverage areas feel free to call me anytime.